Rutgers University-New Brunswick’s graduate family housing offers two-bedroom apartments to eligible graduate students. 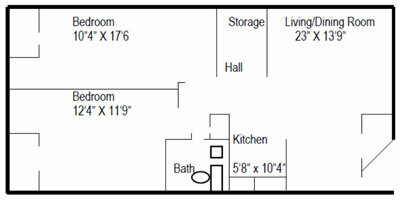 There are several floor plans to choose from. The cost of rent includes heat, gas, electric, hot and cold water, cable television service and high speed Internet access. The apartments are located on the Busch campus in Piscataway, and residents have easy access to all of the Rutgers-New Brunswick campus. The free bus system eliminates parking and transportation problems around campus, which is another benefit to living in family housing. 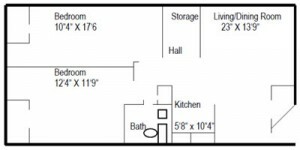 A Fully furnished apartment will include a set of furniture and lamps in the living room, dining room, and both bedrooms. All family housing units are now rented as fully furnished apartments.